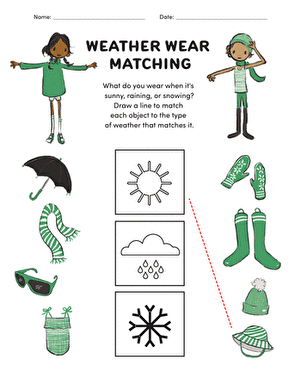 It's a sunny summer day, and kids completing this kindergarten science worksheet circle the appropriate clothes for the weather: shorts, bathing suits, and flip-flops, not mittens and scarves! 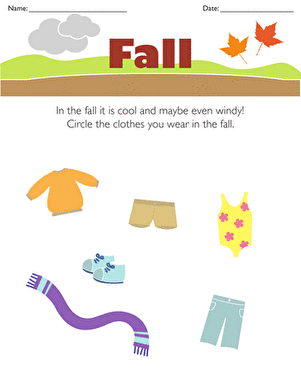 Learning about seasons helps kids develop their understanding of concepts in earth sciences. You may also decide to talk with your child about how summer weather may vary according to climate: Some places have mild summers, while others have scorchers! 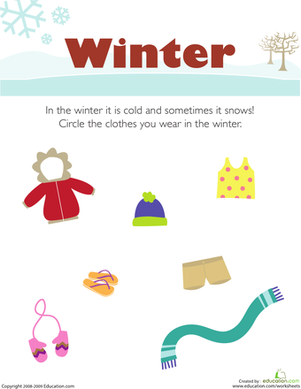 Kids completing this kindergarten science worksheet circle the appropriate clothes for winter weather. It's a warm spring day, but a rain shower is on the way! 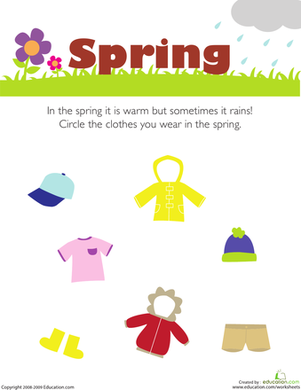 Kids completing this kindergarten science worksheet circle clothes for spring weather. Glossary: EL Support Lesson: What Do You Do With A Book? Use this bilingual glossary with the lesson plan EL Support Lesson: What Do You Do With A Book? Glossary: EL Support Lesson: What Do You Hear? Use this bilingual glossary with the EL Support Lesson: What Do You Hear? 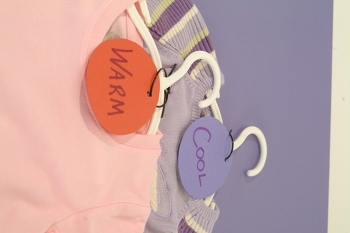 What is the best outfit to wear? 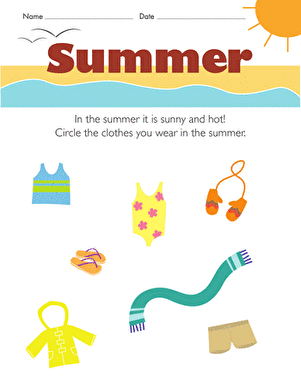 Help your child learn her seasons as she picks out some summer clothing for this paper doll.